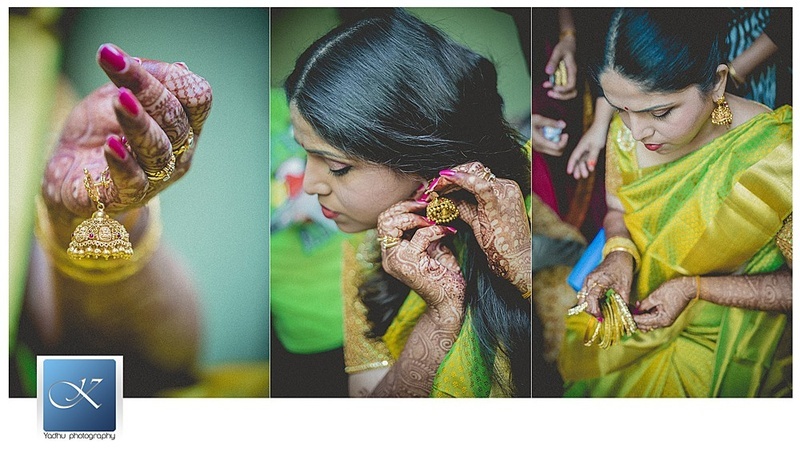 A crazy love-emotion-happiness filled south-indian wedding that had us aww-ing at every picture we saw! 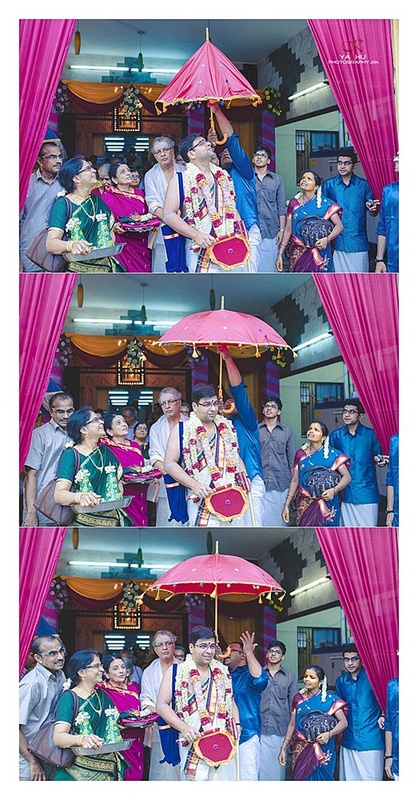 Right from the onset of Anu and Santhosh’s wedding celebrations there was a certain quirk factor we sensed as we scrolled through each photo. 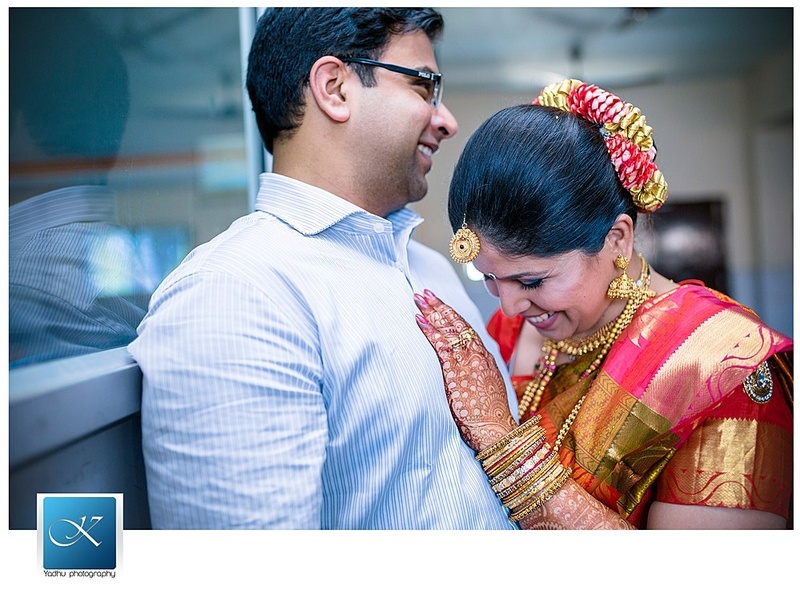 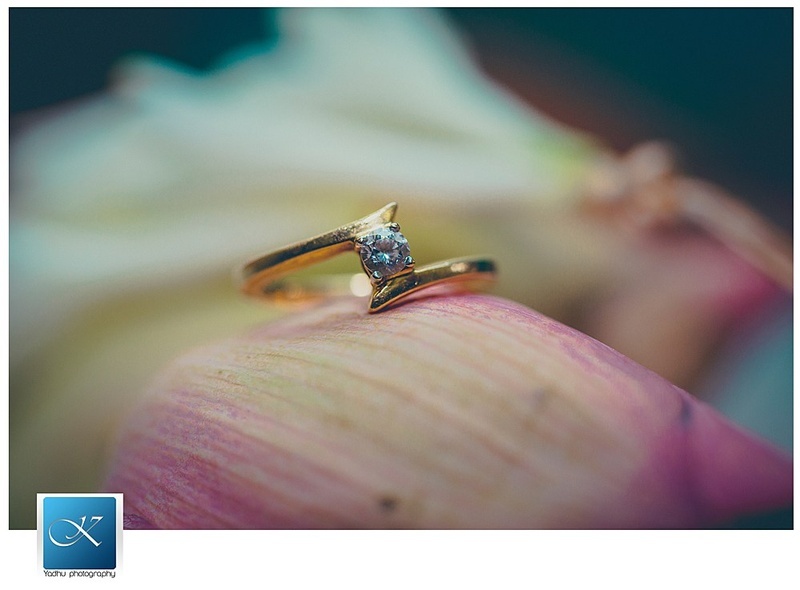 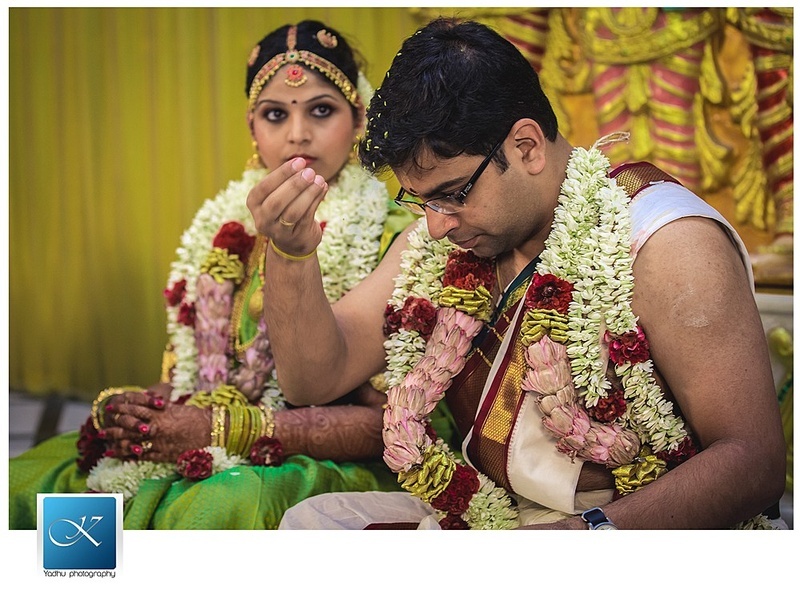 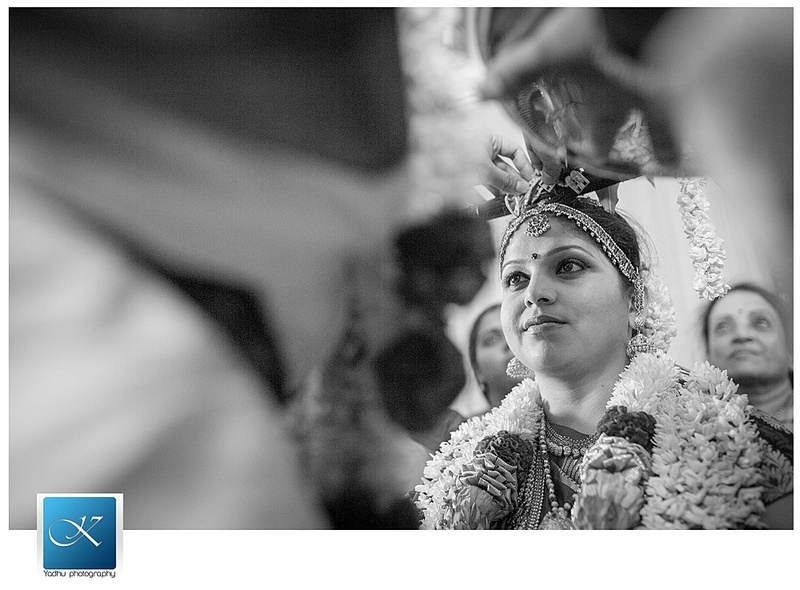 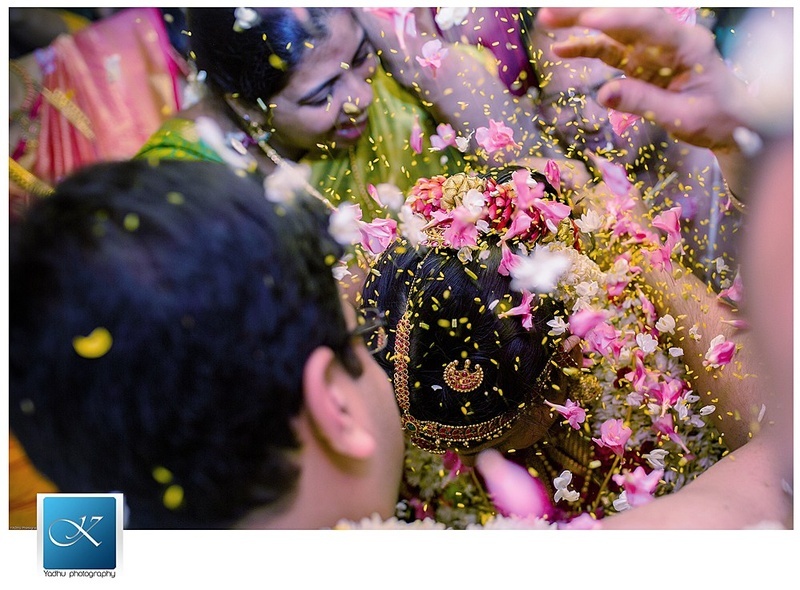 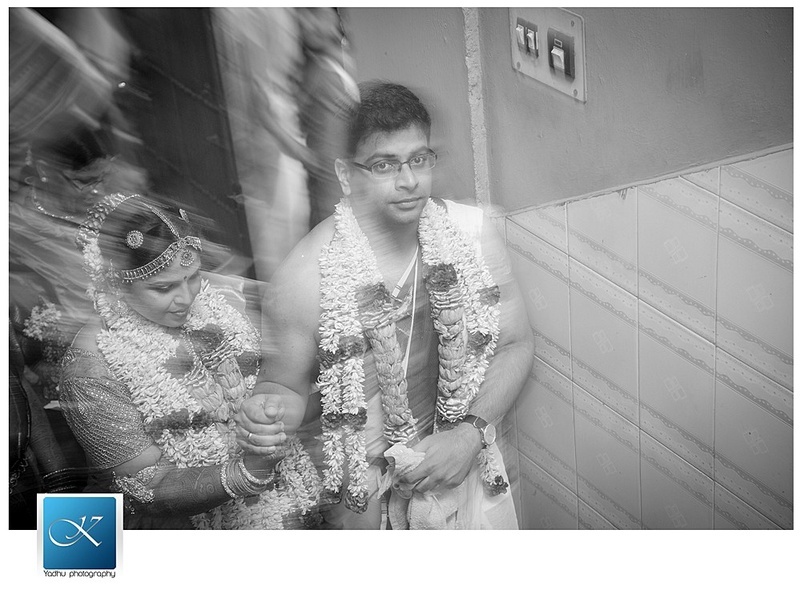 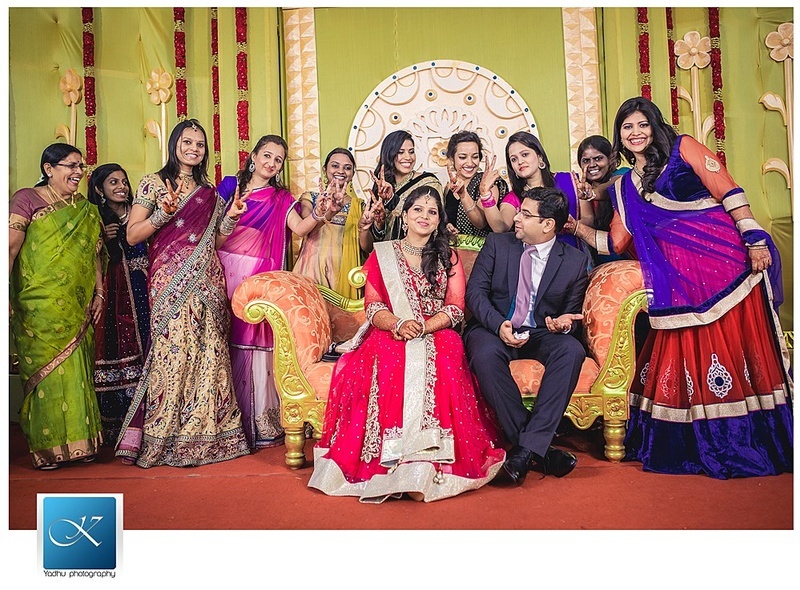 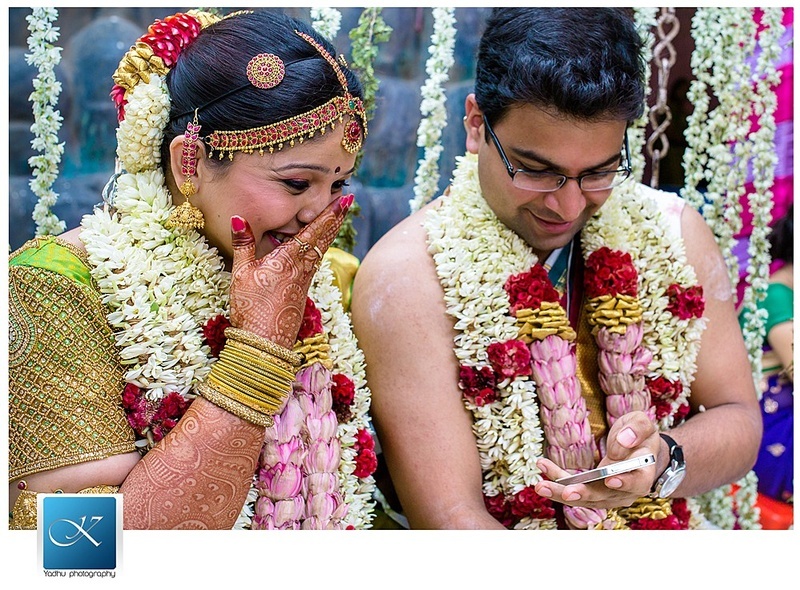 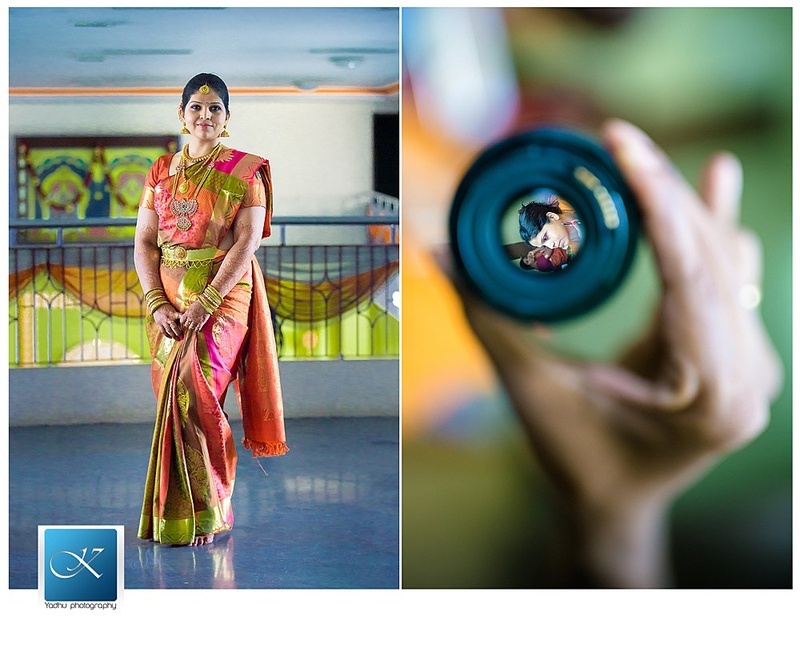 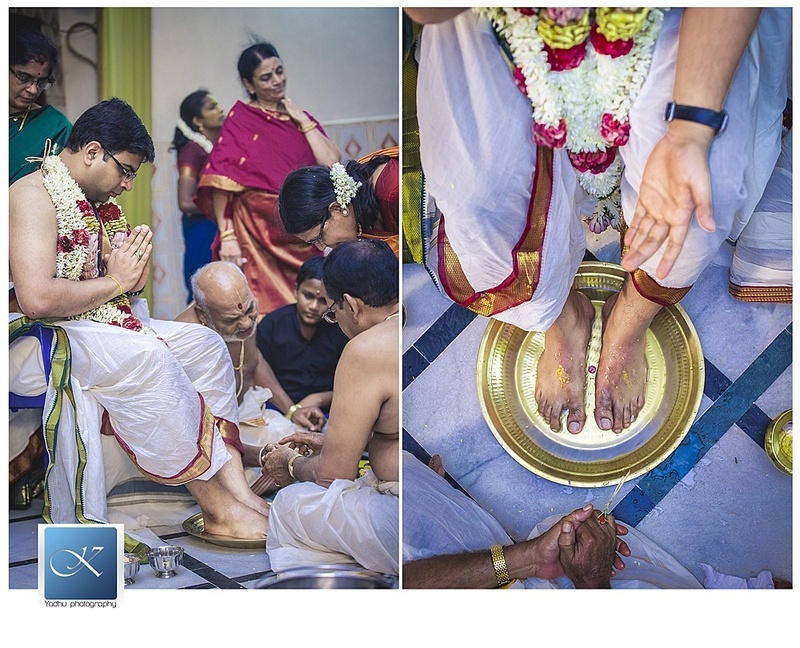 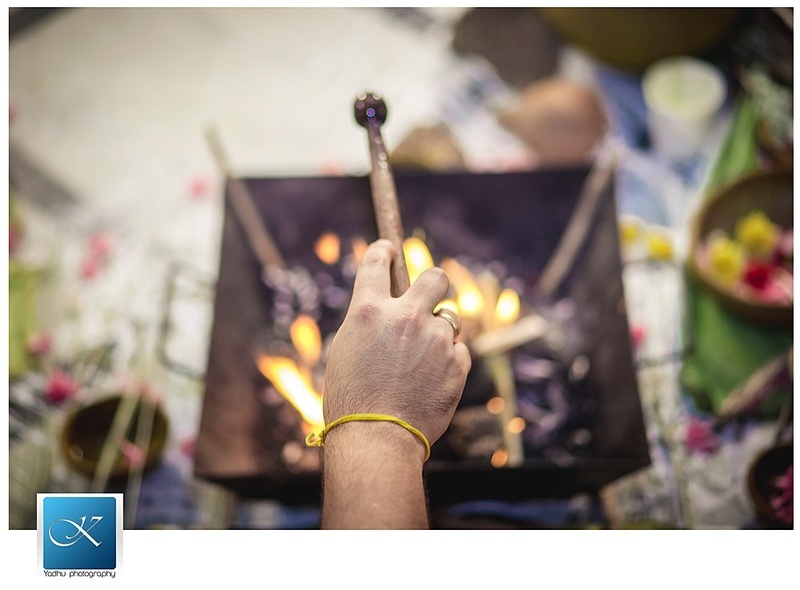 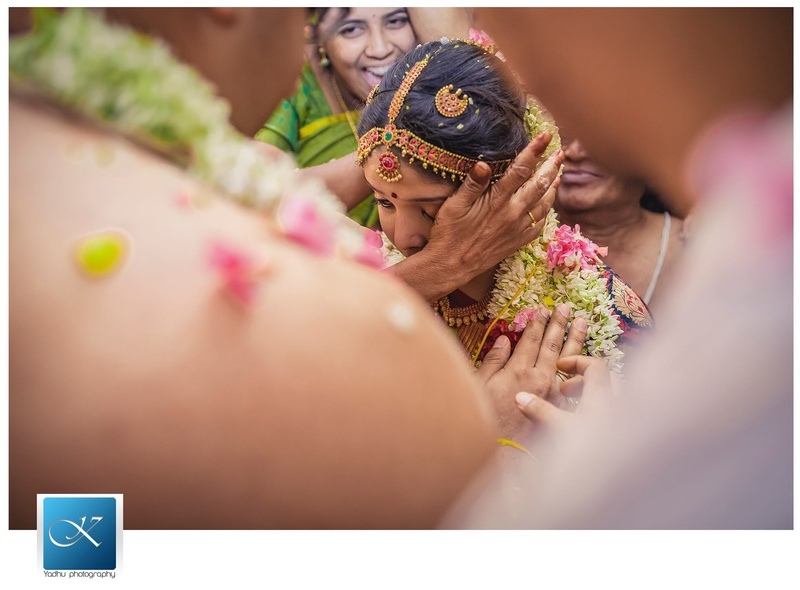 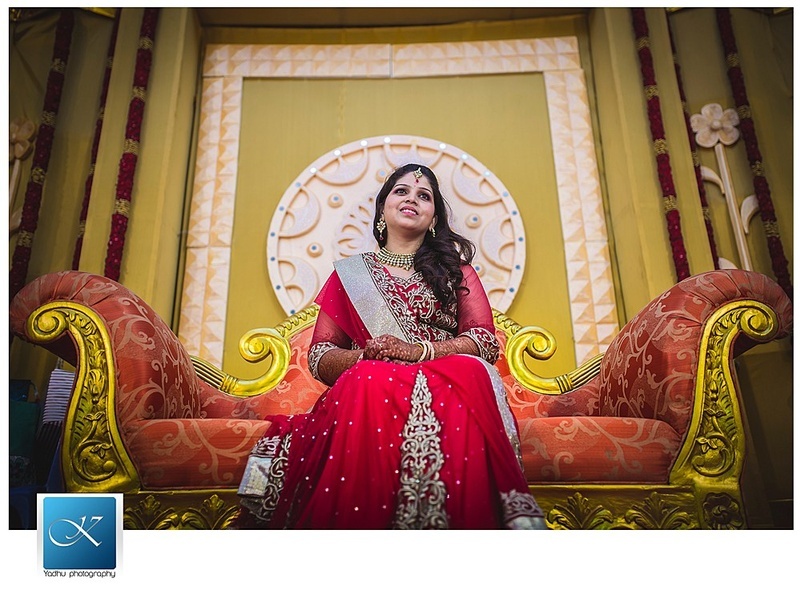 Major props to Yadhu Photography who captured this stunning south-indian wedding with an eye for something different. 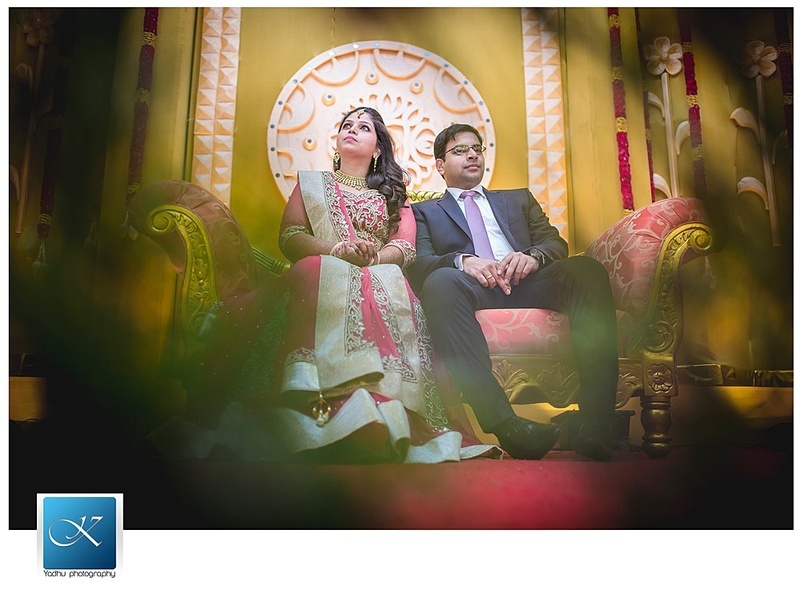 Each photo shot was clear and had a touch of the exceptional. 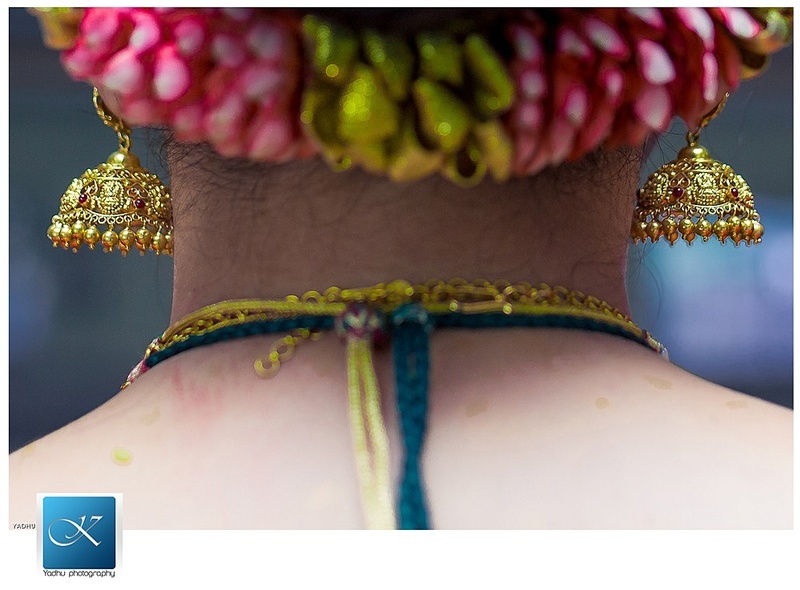 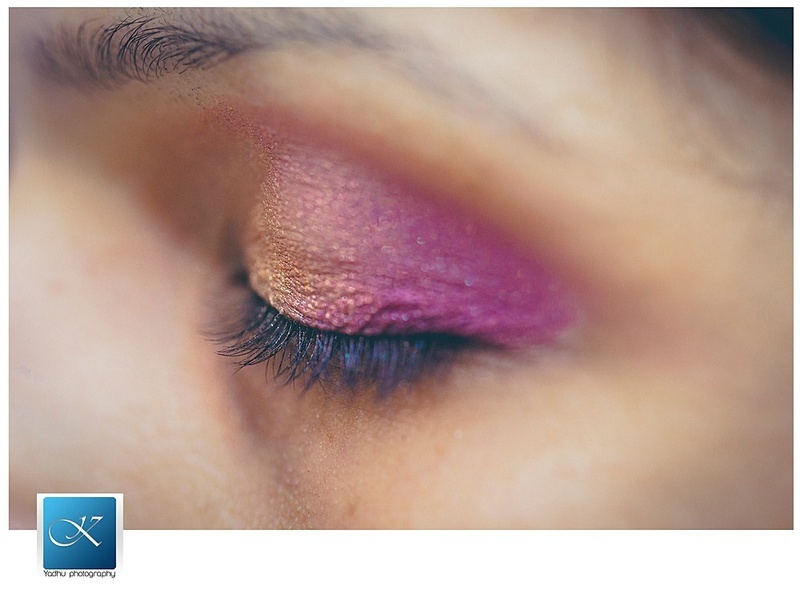 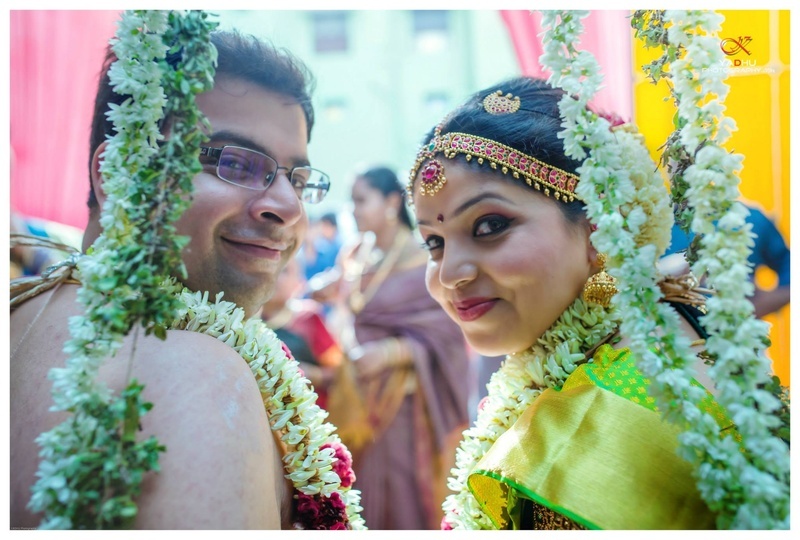 A few of the ones that left us heart-emoji-eyed were the ones captured in camera lenses and the unusual backshot of the bridal jhumkas – so different, so good. 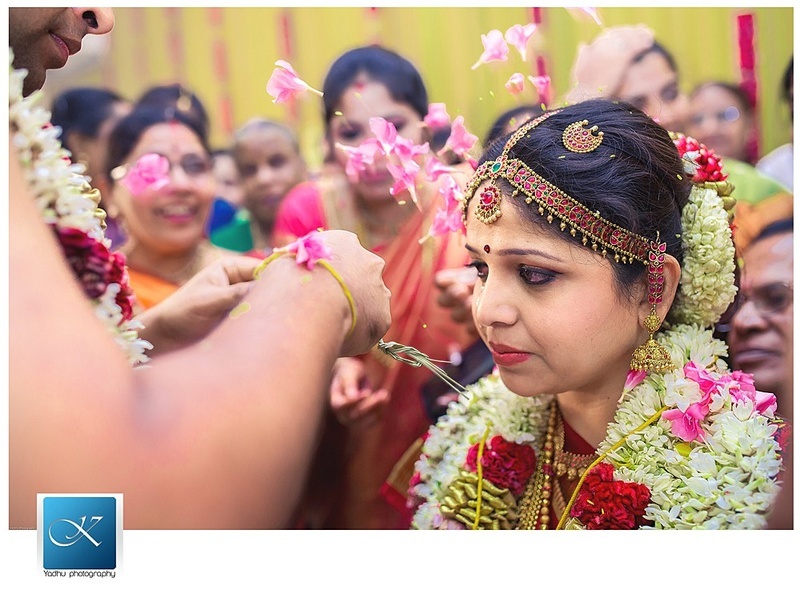 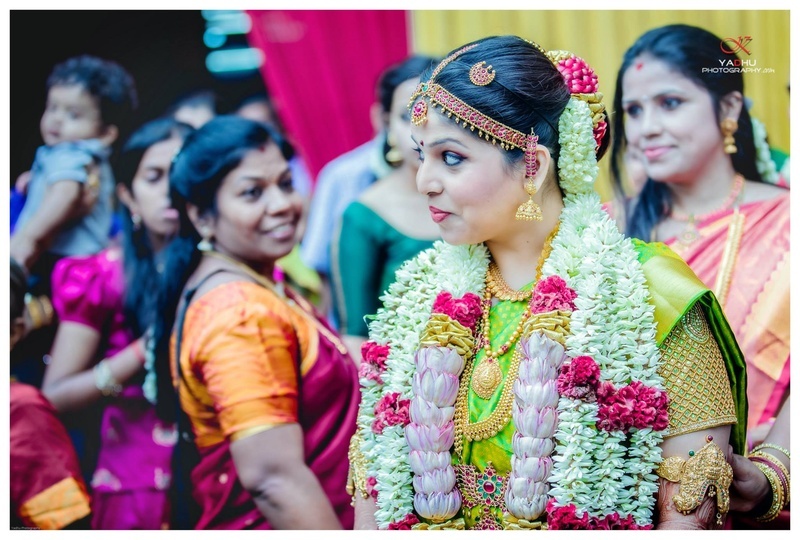 Being a south-indian wedding we were excited to see the gorgeous kanjeevaram sarees and the jewellery too and each of the sarees worn by the stunning bride, Anu were just plain beautiful. 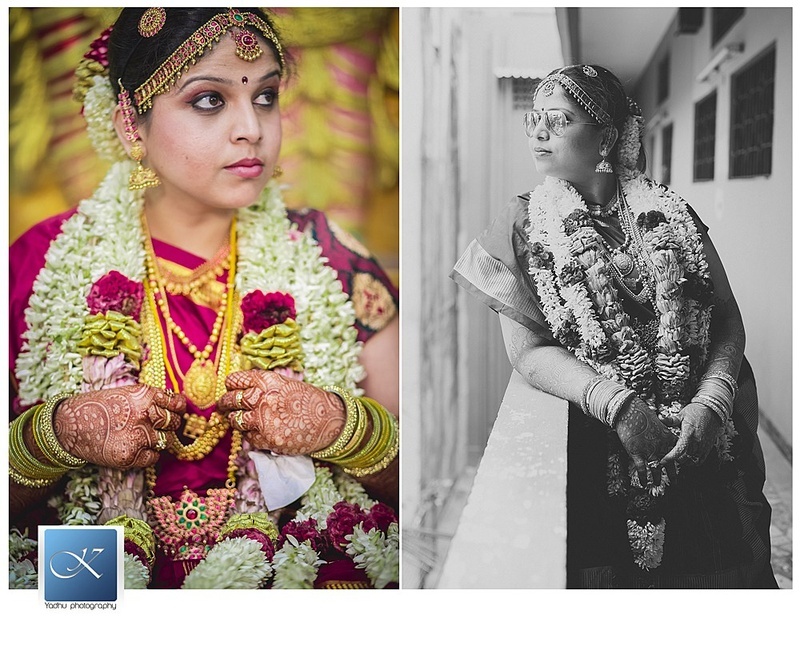 The multicolored six yard beauty she wore was accessorized with layered kempu and temple jewellery and a dainty maangtikka to complement. 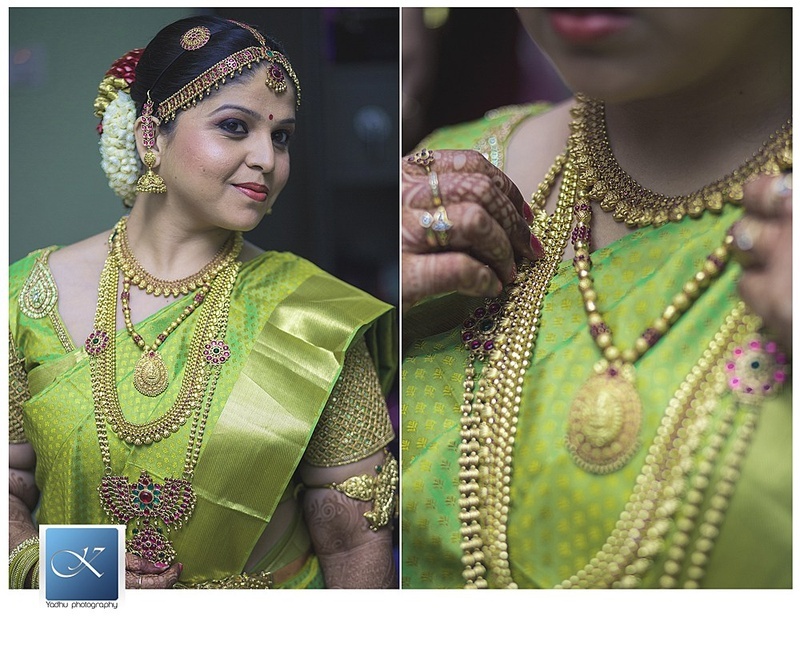 For the wedding ceremony, she donned a beautifully gold weaved lime green saree with a bold kempu studded rani haar and matching maathapatti – her entire ensemble was unusal, beautiful yet traditional, a combination so perfect. 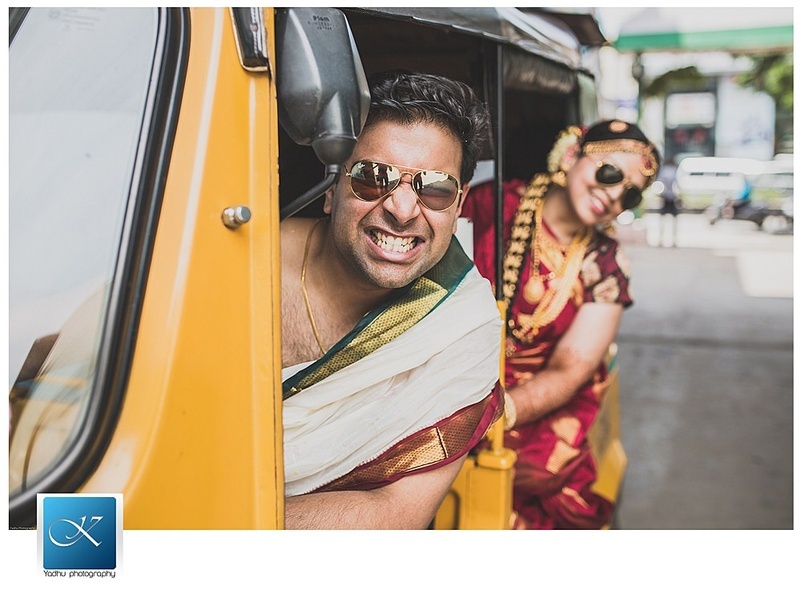 What to look out for as you scroll through this wedding – the blue kurta and white dhoti entourage of the bride and groom, the quirky rickshaw post-wedding photo and the Kashi yatra umbrella frame captured right on time! 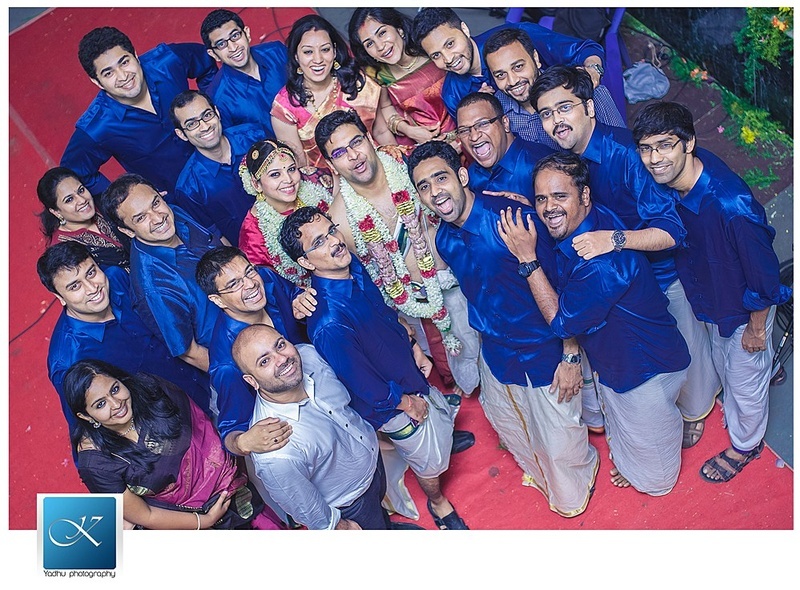 Groomsmen dressed in sapphire blue silk shirts and lungi, swag much?